If you're going to be in Northern California, San Francisco Bay area or Monterey, there is excellent diving available. The water is colder which makes for lush beautiful diving, but it also makes it a bit more challenging. 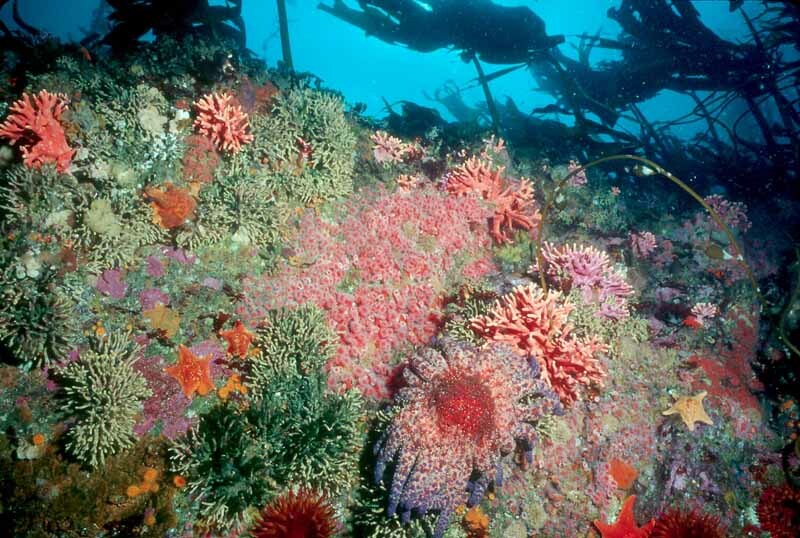 If you are just visiting and like to try some diving, your best bet is almost certainly to go to Monterey. It is a very popular dive location was excellent shore diving and charter boats available. It is about a 2 hour drive from San Francisco, but well worth it. Water temperatures usually vary between about 45 degrees and 58 degrees. This means that you should have a very good wet suit or perhaps a dry suit. Also, if you're visiting, be aware that the top side beauty is incredible and there is a fantastic amount to do in both Monterey and the San Francisco Bay area. I'll mention three good boats that go out of Monterey, the Monterey Express, the Escapade, and the Cypress Sea. There are other good boats there as well. Click here to get information and schedules for most any California Dive Boat. Here are some other useful links in the area. Here are a some dive reports from the area.On the main page are numerous reports about Northern California Diving. There is plenty of good shore diving in Monterey and Carmel, including Cannery Row, Point Lobos, Monastery Beach and Stillwater Cove, but these spots are not necessarily best for the visiting diver. If you want to visit these places, you're probably best off contacting local dive shops there for more information. Now Monterey is probably your best destination if you're visiting the Bay Area and you'd like to get into the diving. Still, there is a great deal more diving to be done in that area. It just takes a little bit more devotion, but it might just be worth it. You could take a charter boat out to the Farallon Islands and try to get some photos of great white shark. Besides the diving is beautiful there. You could also visit the fantastic diving of the North Coast. There's not much in the way of charter boats, but there are plenty of dive resources. I highly recommend it if you are a good diver. Also, this is the only place you can go diving for abalone. There are many reports about North Coast diving on the main page of this site. There are some good pictures of it too. 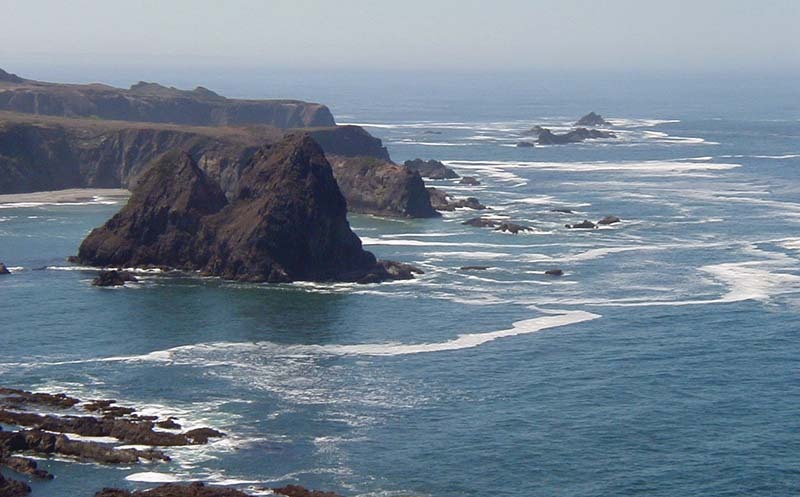 You may have wondered about the diving near San Francisco itself. Well, perhaps it would best be called challenging. There is probably 70 miles of diveable shoreline along the ocean side of the San Francisco Peninsula between San Francisco and Santa Cruz. The scenery along that drive is absolutely gorgeous. The diving is probably some of the most difficult in the world. It is rough, cold, sharky and visibility is no more than six feet on a good day. I love it. It used to be good for abalone diving, but now there is no legal abalone diving south of San Francisco. For the first hundred miles north of San Francisco the diving is similar to the diving south and probably should be left to the locals. Beyond that if the beautiful diving of the North Coast.